After spending the night at Coopers Creek Freecamp (see our previous blog post on this camp site), we headed off for Charleville. Saying goodbye to Kevin and his daughter, we all went our separate ways. Kevin had to high tail it back to the Coast for work. We, on the other hand, had a few more days up our sleeve. 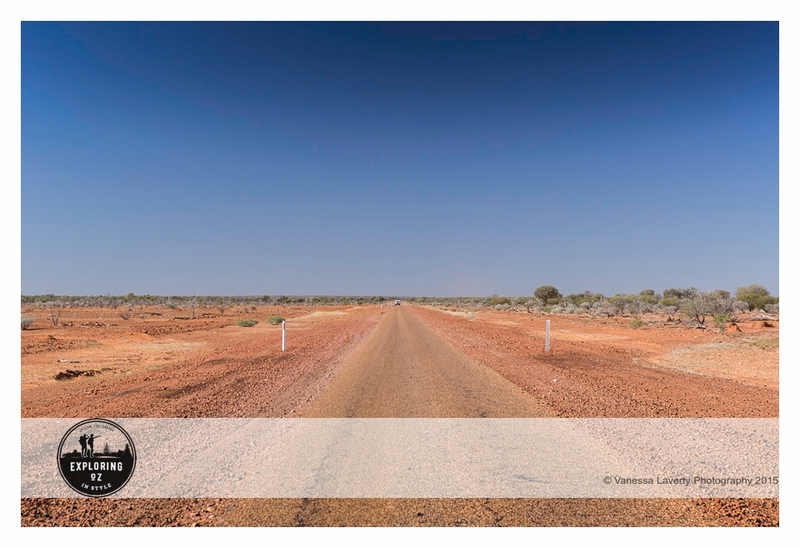 As we headed towards Quilpie, the desolate landscape resembled a moonscape. The horizon in the distance seems to go forever here in the outback. We were pretty low on firewood and had spotted this station offering firewood when we travelled into Birdsville so decided we should stop and load ourselves up for the few more nights we would be out. 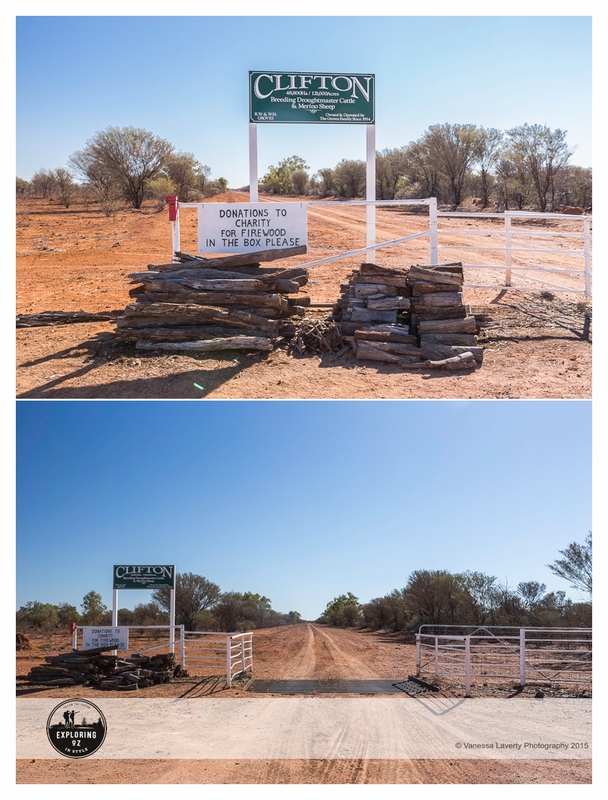 Clifton Station is a 48,800 Ha (121,000 acres) property between Windorah and Quilpie. Owned and operated by the same family since 1954, they breed droughmaster cattle and merino sheep. Picking up firewood from places like these is not that uncommon and all they ask is a donation for charity which we happily gave. Further on from Clifton Station, the scenery started to morph again – this time, more green was showing on the landscape. Bones of dead cattle were strewn along the edge of the road to remind us of the impact of severe drought and the hardships that farmers face out here. They feel every death that takes their livestock from them – not just financially but emotionally as well. 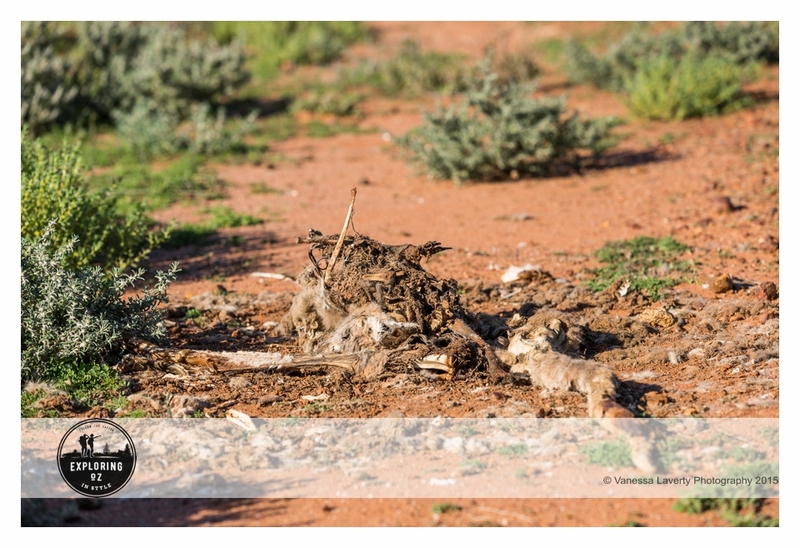 Whilst this is the remains of a kangaroo, the starkness of the dead bones against the landscape struck me. At Quilpie, we stopped for lunch and had a wander around the little town. We came across their military museum and had a wander around. To Damian’s surprise, he discovered a photo of a friend of ours there. 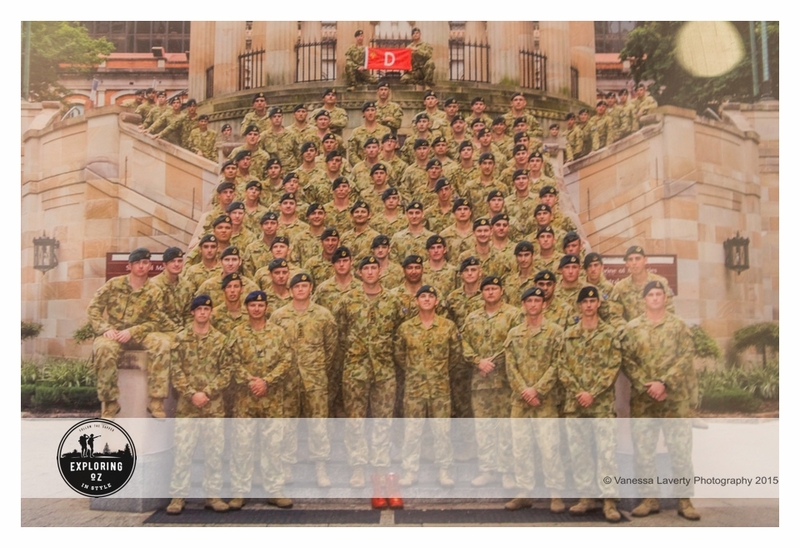 This photo taken at the Shrine in Brisbane, shows members of D Coy, 6 RAR. Quilpie is such a pleasant little town and I urge those who are going through to take some time, stop for a bit and spend a little of your hard earned money here. People in these towns really rely on your dollar to help them through these tough times of drought. The road really hadn’t changed from when were through here a week or less ago. We feel it’s a little greener than the last time we were through. There was water lying in the ditches beside the road and evidence of mud and greener pastures in the paddocks. 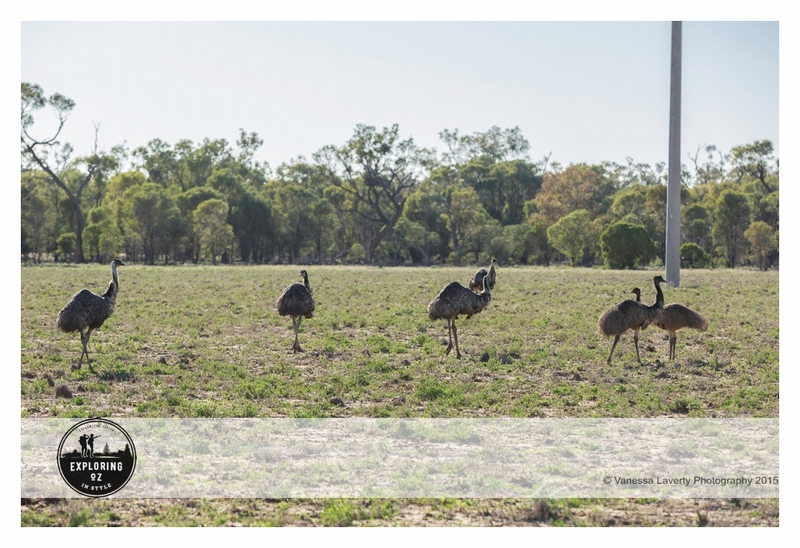 We spotted a large group of emus who allowed me to get closer than I thought I would – no doubt too busy eating the green pick to be too worried about me with my camera. 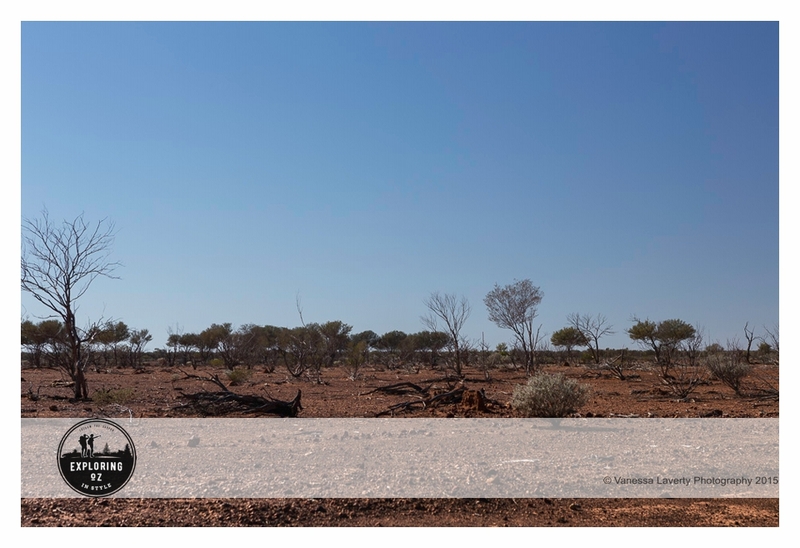 We pulled up at what we thought was the right spot for our campsite – a free camp on the Warrego River about 70km south of Charleville on the Cunnamulla road. We had been out of mobile reception for nearly a week which was actually quite liberating. We had had no news of the world happenings and WW3 could have been declared for all we knew. 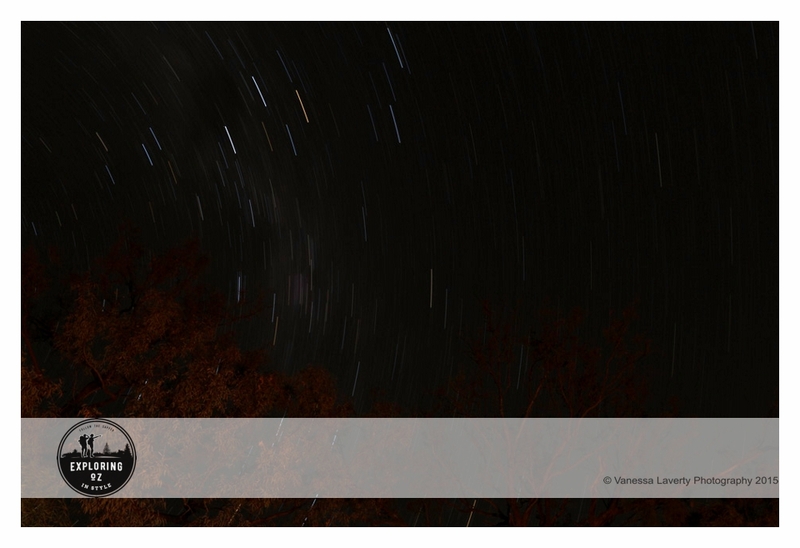 A had an attempt at a star trail that night – not really much good but you have to start somewhere. Despite what you may think, star trails are quite difficult to master (that is, beautiful ones are). 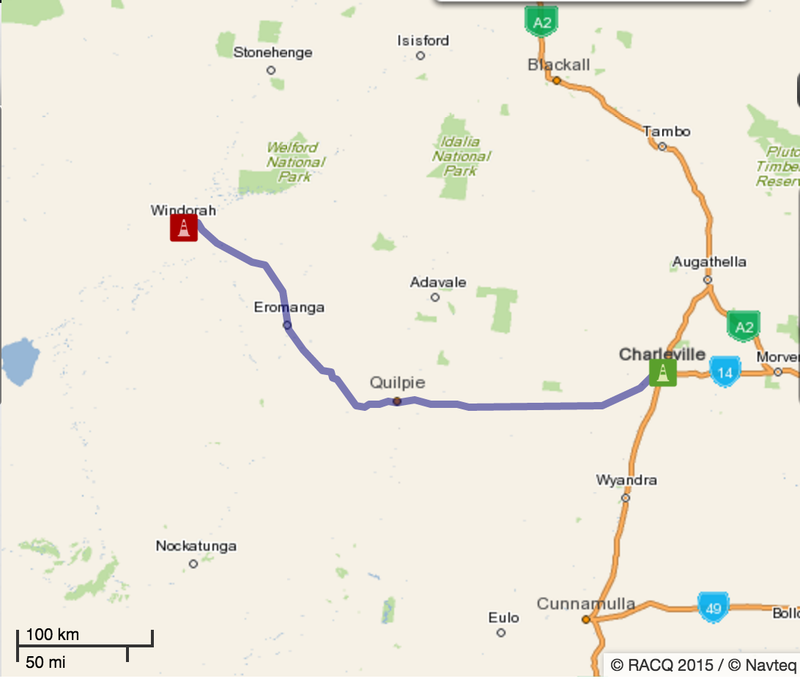 From here, we are taking a different route home via Cunnamulla and Nindigully (an old favourite of ours).